Tomorrow is London Marathon day. Over the last few weeks I've watched runners pounding the roads working their programmes. This year I've probably seen more people running to and from work than ever before. I won't be running and I always feel a bit down when I don't run a big race - that I'm somehow missing out on something. I am, of course. 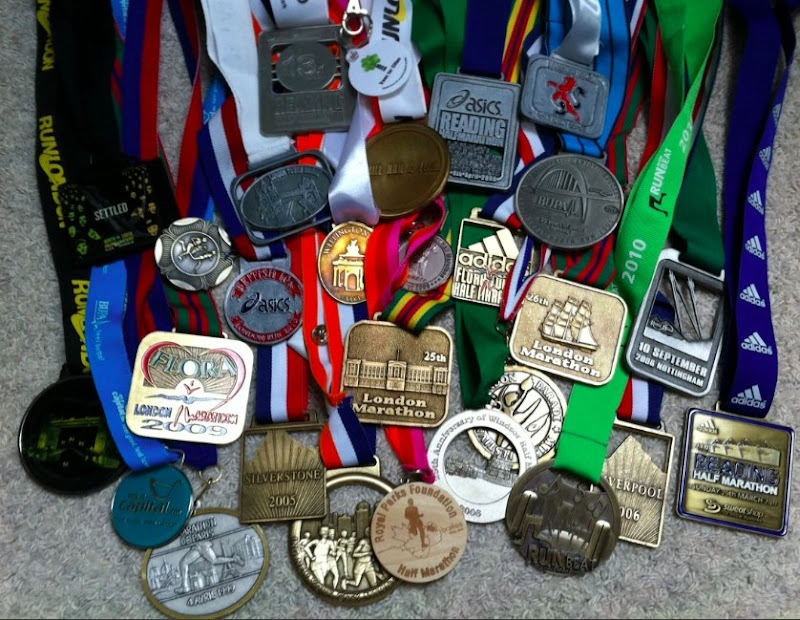 Some people run for charity, some run for departed friends or loved ones, some run for themselves, some run for t-shirts or medal and still others run because they can and perhaps once they couldn't. If you're running tomorrow, whatever the reason, good luck, enjoy the celebration that the London Marathon represents - the crowds, the cheering and, at the end, that incredible sense of accomplishment you'll get as you cross the line. There is very little that can beat that.